A few weeks ago, Arc System Works announced that Birthdays the Beginning was headed to the Nintendo Switch, as Happy Birthdays. Since the original version was localised, it was extremely likely this one also would be, and that’s exactly what was announced yesterday during NIS America’s annual press event. The publisher announced that Happy Birthdays would be released later this year in Europe and North America, with the exact release date to be announced later. Happy Birthdays is an improved version of Birthdays the Beginning, featuring the same elements but with an updated UI and game elements. It will be playable in the following languages: English, French, Italian, German, Spanish, Traditional and Simplified Chinese, and Japanese. 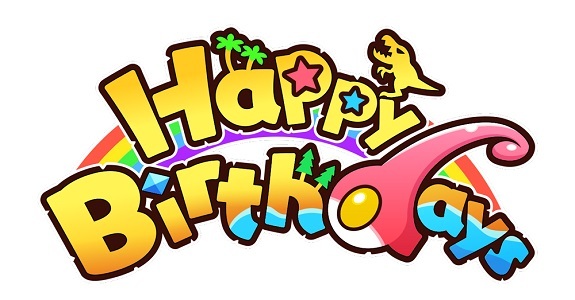 Created by Yasuhiro Wada (creator of the Harvest Moon series), Happy Birthdays is a sandbox game where you get to create cube-shaped worlds, and give rise to diverse and unique lifeforms. You can experiment by changing the geography and altering the temperature of each world, in order to create the conditions for life. You can then witness the birth of an entire ecosystem! A World All Your Own And On-The-Go! – Create any world you can imagine! From staggering mountainsand sprawling forests to a deep sea dotted with islands, there’s no limit to your creations. And now, you can shape your world on-the-go on the Nintendo Switch! Life from the Beginning – Discover the history of everything as you foster life of all shapes and sizes – from single-celled organisms to complex multicellular life, including plants, mammals, dinosaurs, and more! Cultivate Your Imagination – Imagine, Experiment, Create! Shape your planet and decide how plant and animal life evolves. No two planets will ever be truly alike. Happy Birthdays (Switch) comes out on March 29th in Japan, and later this year in Europe and North America. The Upcoming Games page has been updated!